Children's Aid Society: What is a Permanency Pact? What is a Permanency Pact? I worked at a residential facility for 2 ½ years engaging with young people in the foster care system, who felt forgotten by family and had little to no plans for the future. 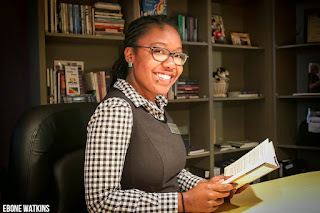 I often reflected on my own life, remembering how difficult it was for me as a teenager to navigate life, even with both my parents present; I couldn’t fathom how difficult it must be for the young people I provided services to. They would tell me, “no one cares about me, why should I care about myself.” I spent countless hours convincing young people that they mattered and were important. But, they need someone consistent in their lives telling them these things. That’s when I found something called “The Permanency Pact”. It’s a free tool created by Foster Club to encourage life-long connections between a foster youth and a supportive adult. It’s a sense of hope for a young person who may not have strong connections. In Alabama, permanent connections for older foster youth are becoming a major focus of the state. These youth are in residential facilities, often moving around every 3-6 months, sometimes labeled as “problem children.” They aren’t problem children. They are in a situation that no youth should have to face without a caring adult to help them. Mentoring programs are limited and many adults are often unaware of the challenges older youth in foster care experience. I realized that education was key, so I began to present The Permanency Pact as an option to these youth, stressing to them the importance of making permanent connections. 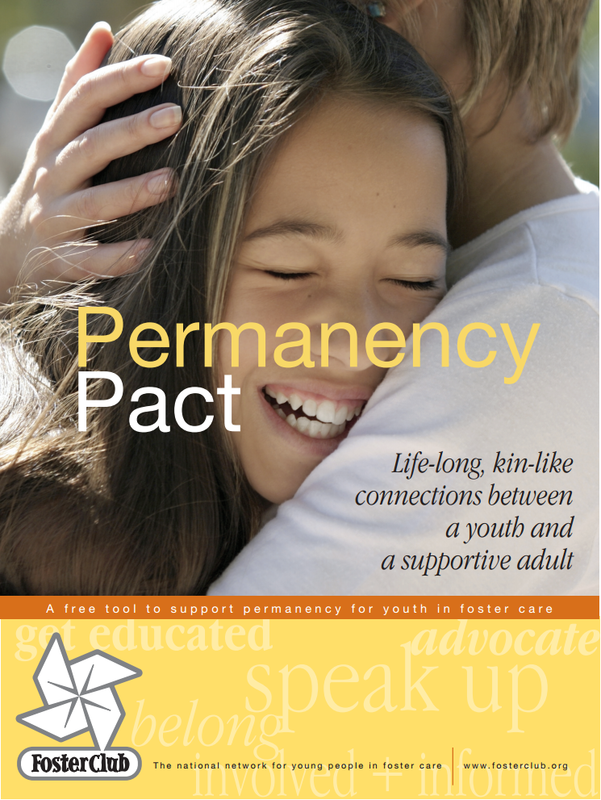 With a Permanency Pact, the youth identifies all of the adults in their life that could possibly be their life-long connection. It’s important that the youth choose their permanent connection and it WILL NOT WORK if the individual is chosen for them. Once chosen, the adult and youth should read through the thorough packet. A facilitator should be present, which could be the DHR worker, a therapist, or caseworker. The adult chosen should look through the detailed list of suggested supports. Once the adult chooses their level of commitment, the youth should review it to determine if they have additional needs to discuss. Youth are encouraged to choose more than one supportive adult and complete a pact with each one. Once the details have been determined, each party should receive a completed copy of the Permanency Pact and certificate. I am practicing what I preach and am currently completing a Permanency Pact with a youth I met two years ago when I was her camp counselor. She and I have continued that relationship and she confides in me when she needs a friendly ear. I was willing to make the commitment to be a supportive adult in her life for the rest of her life. While I cannot provide her a permanent home, I feel the next best thing I can do is support her through life’s crazy transitions. I am honored to be her supportive adult. How amazing would it be if every adult in Alabama made this commitment to a youth in foster care? No matter where the youth ends up, it would be great for them to know they have someone to call. Sometimes they need somewhere to do laundry, somewhere to go for Thanksgiving, someone to ask questions about car insurance, or someone to call when they feel their case is going all wrong. These are some examples of what these youth may need and this is what the Permanency Pact provides, assurance that someone will be there. Permanency Pacts are not widely known in Alabama at this time, but there are efforts to spread the word and I’m doing my part to share the message. Click here to download the Permanency Pact created by Foster Club.